In hairdressing, experience and knowledge are the abilities that are most important. Manchester has a history of producing some of the very best hairdressers. Here's some information about me. 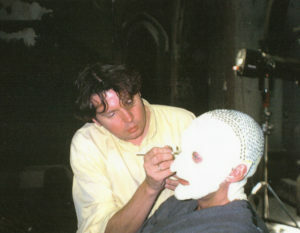 I started my training in 1973 and worked for Vidal Sassoon until 1982, for the next 18 years I worked as a Chief Hair and Make-up Artist in the Feature Film Industry, heading the Hair and Make-up departments of numerous productions for screen and television. 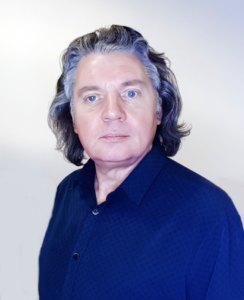 I have designed and looked after the hair of a host of international stars including; Rik Mayall, Emma Samms, George Hamilton, Patrick Bergin, Greg Wise, Elizabeth Berkley and Tia Carrere. Following the birth of my daughter, in 2000 I opened my first salon on Deansgate. In 2016, I moved to a new studio, just over the road at Milton Hall, 244 Deansgate. 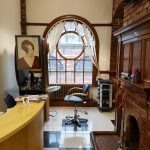 It is completely private and exclusive, designed to provide a friendly and comfortable environment, you can have your hair done without feeling that anyone on the street can see you through the window. You will see on many salon websites reference to "your hairdressing journey" or "a hair experience". Let me be frank; a clean tidy salon with friendly staff using top quality materials and equipment is a given. If it's an experience you're looking for, Disney is probably the best place, my aim is and always will be to offer the very highest standard of hairdressing. I have always had a policy of non-selling. This means that you can have your hair styled in the knowledge that you are not going to feel pressured into buying retail products you don’t want.